That's the stuff Good. Really good. Wood, vanilla, leather, dark chocolate. Fantastic. Wonderful Close to perfection. Great flavors, mouthfeel, and finish. Richard can do no wrong He is King Midas, in my opinion. I will buy anything he makes and almost certainly love it. Whoever said walnuts at the end nailed it. Delicious. Tobacco. Not overly sweet. This is fantastic tasting. Won this from #whiskysanta It's great. Exceptional. Almost too rich and savory so I can't drink too much of it. A little nutty. Won this from #whiskysanta It's great. Exceptional. Almost too rich and savory. A little nutty. 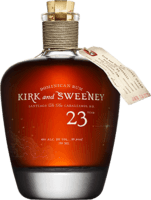 Like it but not enough for the price Don't get me wrong, it's a really good rum. But I'm not sure if it is worth the RRP. That being said, I would never turn it down when offered. Just a sip Got a little taste at the local tiki rum bar. Really delicious. Will need to come back for more. Great for spiced Not worth an 8 but gets a bump because I generally avoid spiced rums. This one, though, is really good neat and as a mixer. Very good Brought back from Belieze for me. Very good. Smooth, brown sugar, hint of vanilla. Very tasty Nutty. A little tabaco-y. Very delicious. I like this a lot. Better than most But not my favorite foursquare. Still, a master class in distilling. Unexpected treat Nice taste up front with no burn and just a little more sweetness than I want. Great finish. The rum that got me into rum I have a soft spot for this one even though it is very much on the sweet side. I like it and my wife loves it. Good Oaky. Dry. Easy to drink. Opens up more as it sits. Strong Great depth. Not as sweet as I was expecting. Would be great in an old fashioned. Good in cocktails Better than Bacardi and should hold some sort of soft spot for many rum drinkers. Would crush Bacardi if (when?) allowed in the US. Let it breath Gets better when it sits for a while. Still, not fantastic. Good Expected a bit more. Not sure what I didn't like about it but wouldn't order again. Similar rating to Forgotten Casks Lower mostly because I expected more. Love their spiced, really wanted to love their others, especially the more premium ones. Not too sweet Which is nice. But it has a flavor at the end I just don't like. Good little local rum Not fantastic but pretty good. Aged in Laws Whiskey barrels, so that's fun. Eh, it's fine Not fantastic but better than entry level. Would drink in a bind, as the rating says. Nope Not for me. Enjoy the story. Not the spiced. Woof. Meh Drinkable. Good in a pinch. Wouldn't order it if something else was available. Glimmer of hope I think the “4” rating fits this perfectly - flawed with a glimmer of hope.